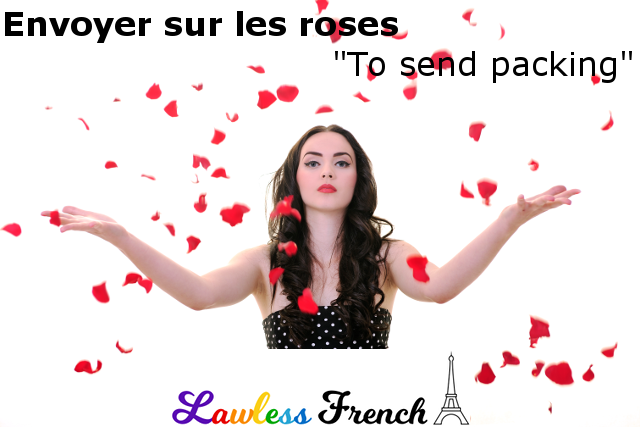 Usage notes: The French expression envoyer sur les roses is a sort of antiphrasis or irony. 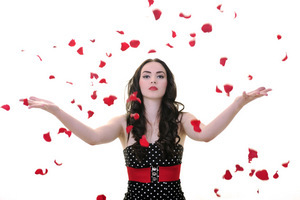 Sending roses (envoyer des roses) is normally a nice thing to do to express appreciation or fondness. But envoyer sur les roses is something you do when you are annoyed by someone. Rather than giving him roses, the idea is that you throw the distasteful person onto the flowers, and since the stems are of course covered in thorns, it’s probably not a very nice place to be. Il ne s’est pas excusé, du coup je l’ai envoyé sur les roses. He didn’t apologize, so I sent him packing. J’ai essayé de lui parler, mais je me suis fait envoyer sur les roses. I tried to talk to her, but I got the brush off. Wondering about the construction je me suis fait envoyer? It’s the reflexive causative. aller péter dans les fleurs (informal, Québec) – literally, "to go fart in the flowers"
aller se faire foutre (vulgar) – "to go **** oneself"